You may be out of luck if you wanted to spend some time with the Conner family because the great scrubbing of "Roseanne" has already begun. Just hours after a series of racist and controversial tweets from Roseanne Barr led to the cancellation of her show by ABC, streaming services and networks airing existing episodes have started distancing themselves from the show. Hulu told CNN, "We support ABC's decision and are removing the show from Hulu." Searching for the series on the service now yields a single result, a 2016 documentary titled "Roseanne For President." On ABC's website, where all nine episodes from Season 10 had been available for viewing, the URL that once led to the "Roseanne" landing page now redirects users to the homepage or a list of current shows. A CMT spokesperson also confirmed that Viacom's cable networks -- Paramount Network, TV Land, and CMT -- will be pulling "Roseanne" from their respective schedules starting tomorrow. Additionally, The Laff network, a comedy-focused Scripps network, has pulled reruns of the sitcom from its air. "While we believe viewers have always distinguished the personal behavior of the actress Roseanne Barr from the television character Roseanne Conner, we are disgusted by Barr's comments this week," the network said in a statement. "Therefore, we are removing the original 'Roseanne' series from the Laff schedule for the time being, effective immediately." Barr has not responded to news of the show's cancellation, but a few of her cast members have. Michael Fishman, who has played D.J. Conner on the series since its start in 1988, said he's "devastated" following news. Emma Kinney, who joined the series in the most recent season, said she supported the network's decision. 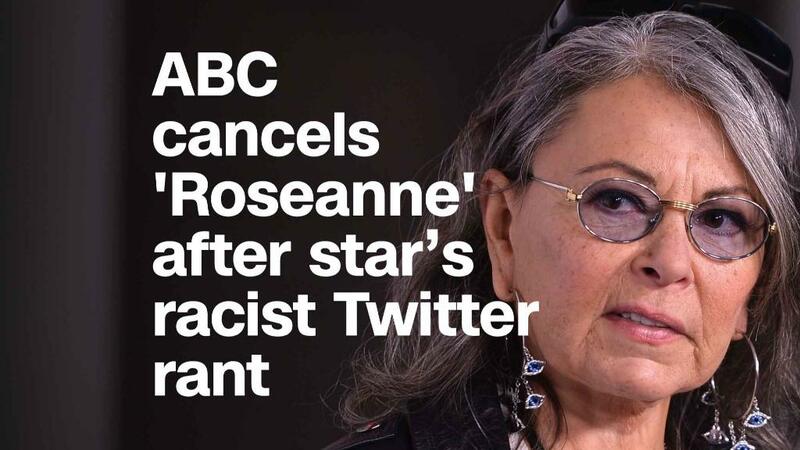 ABC canceled "Roseanne" hours after Barr's comments about Valerie Jarrett, former aid to President Obama, Chelsea Clinton and George Soros caused an outcry. Disney CEO Bob Iger added that "there was only one thing to do here, and that was the right thing," in a statement on Twitter. "Roseanne" returned to TV back in March after more than ten years off the air. Season 11 had been planned to premiere in the fall. Frank Pallotta and Jill Disis contributed to this report.